Join us for Sunday Sessions on 10 February. 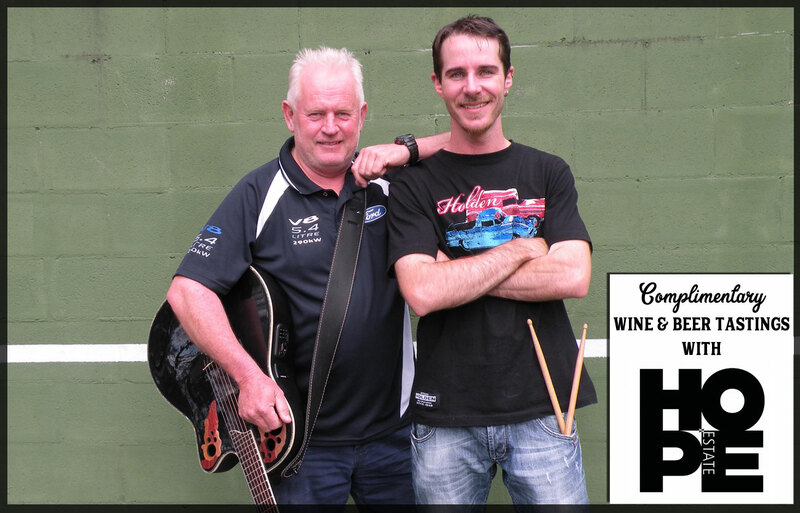 Kick back and relax to the feel good tunes of Hawkesbury favourites Scott & Dave whilst partaking in complimentary wine and beer tastings from the amazing Hope Estate!! Scott and Dave have played for many years across the Hawkesbury’s pubs and clubs. The duo cover classic hits and are a crowd pleaser for all ages. Scott on guitar and vocals, combined with Dave on drums work great together ensuring an afternoon of great Sunday night vibes.